Consulting, especially telecom, media, technology, and entertainment litigation support and competitive analysis, research, publishing, journalism, and conference support, are our key areas of activity. 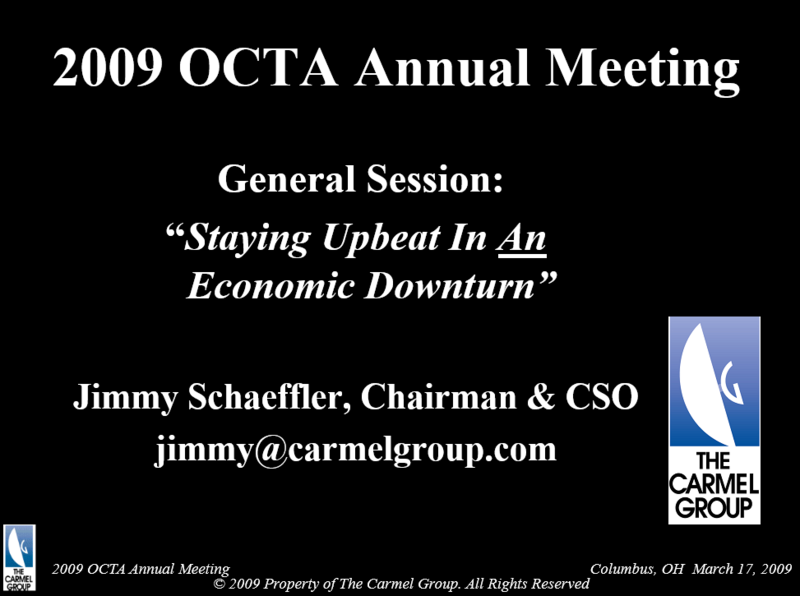 Jimmy Schaeffler presented his expert view about the media industry dynamics during the 2009 OCTA Meeting. This 40-slide Power Point presentation by The Carmel Group reviews the key trends facing multichannel and pay-TV operators, vendors and consumers, as well as the key challenges and opportunities ahead. Special focus is given to new multichannel pay-TV applications, such as Digital Video Recorders, HDTV, VOD, Broadband and Interactive TV. A global view of these issues is presented, as well. Substantial data charts and projection charts are also presented. Plus, pricing, education and technology are targeted, as well as home networks and mobile applications. It presents a true overview and a look at the future of Global Consumer Behavior In A Multichannel World.